This guide is designed to assist you in assessing your land and managing it in a way that protects and enhances the natural environment, provides a healthy and safe environment for animals and is appropriate for the time you have available. This booklet has been written for the dryland grazing zones of the Goulburn Broken Catchment of Victoria. The same principles will apply, however, to other dryland grazing zones in Victoria. It aims to assist land managers in understanding and interpreting soil test data. This booklet provides an insight into some of the wildlife species and habitat types that occur in the upper regions of the Goulburn Broken Catchment, including information about each species' needs, threats and ways we can help them survive. The purpose of Weeds of the Goulburn Broken is to provide all land managers, public and private with a locally relevant field guide that will assist in the identification and management of environmental and agricultural weeds in the Goulburn Broken Catchment. Installing Nestboxes – why bother? • Permanent nest-boxes are a great way to survey secretive native animals in your local area. • Many areas of bush don’t contain enough hollows for the birds, bats, possums and gliders that live in the area. • Even where there are enough hollows, installing nest-boxes lets you see what’s going on. • If you install quality-built nest-boxes, they’ll last for many years and will breed many generations of the animals that use them. This track meanders down an unused road reserve through open narrow-leaf peppermint forest until it crosses a walking bridge and enters the Ruffy Flora Reserve. Both walking tracks are clearly defined and sturdy footwear is advisable. This track links with the Seven Creeks Walking Track (also known as the Apex Track). 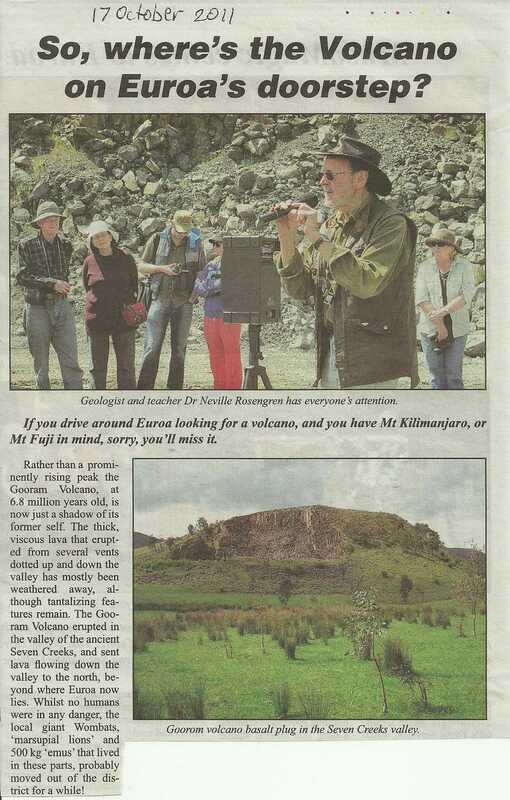 The Seven Creeks Walking Track was established in 1988 by the Euroa Apex Club as a Bicentennial project. The walking track encompasses the Seven Creeks passing through Floodplain Riparian Woodlands. 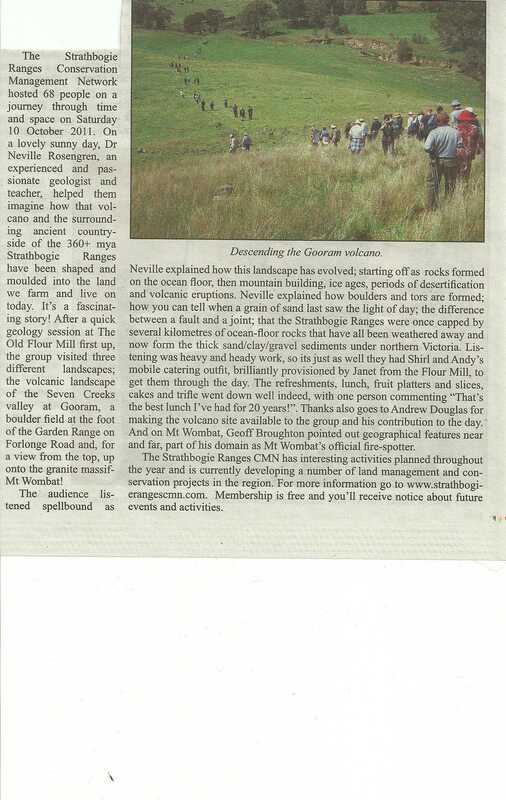 This forest drive plus a walk starts 23 km from the Strathbogie Township. From Euroa it is a 45 minute drive to the start of the track. The drive takes you deep into the Strathbogie Forest to reach the start point which is 12.7 kms from the end of the bitumen on Tames Rd, or about 25 minutes drive from Strathbogie. A great weekly newsletter created by Ashley Rogers at the GBCMA. It covers local workshops, field days, farming groups, articles, grants and much more.